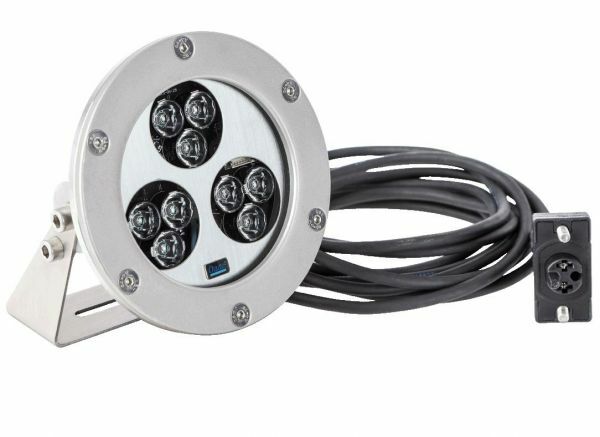 The ProfiLux 1100 LED is a 24 volt high power submersible flood light designed for more intense, high impact illumination of larger water features, fountains and outdoor areas. The ProfiLux 1100 LED flood light features 3 highly efficient, 4000K neutral white triple LED lighting elements totalling 23 watts, providing an impressive light output of 918 lumen. 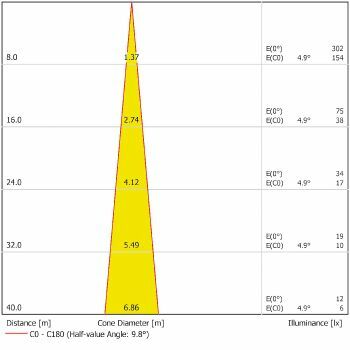 The LED light face features a beam angle of 11˚ for more focussed lighting in larger outdoor applications such as water features, waterfalls and decorative fountain displays. 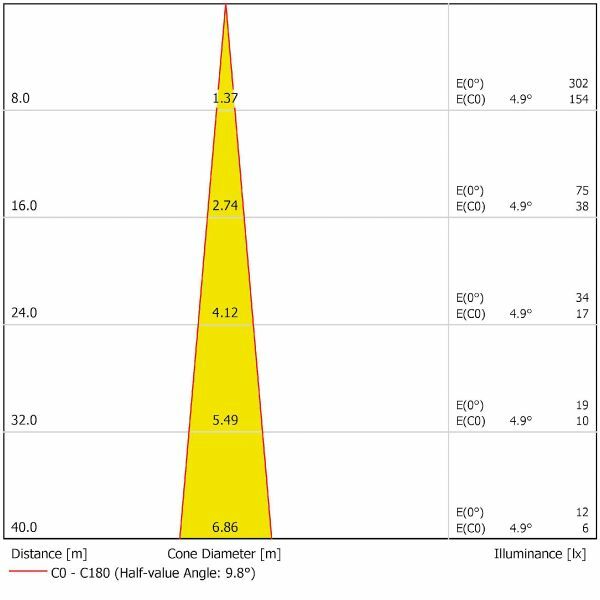 The ProfiLux 1100 LED flood light can achieve illumination at distances up to 40 metres and can produce a light spread exceeding 6.8 metres in diameter. 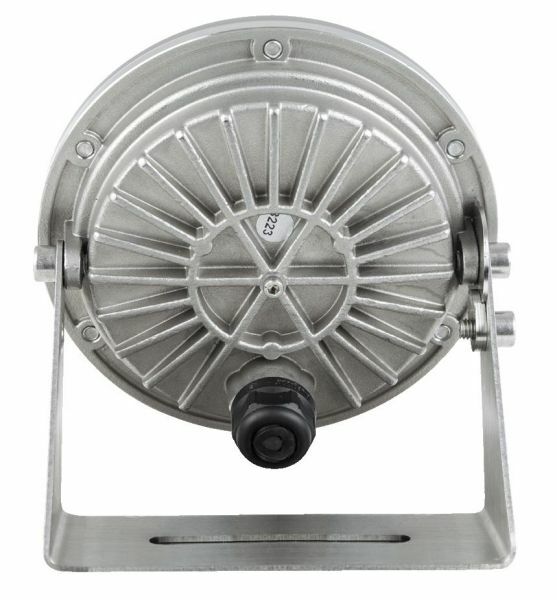 The compact, commercial grade flattened light frame and fine angle adjusting bracket are built from marine grade stainless steel for exceptional durability. 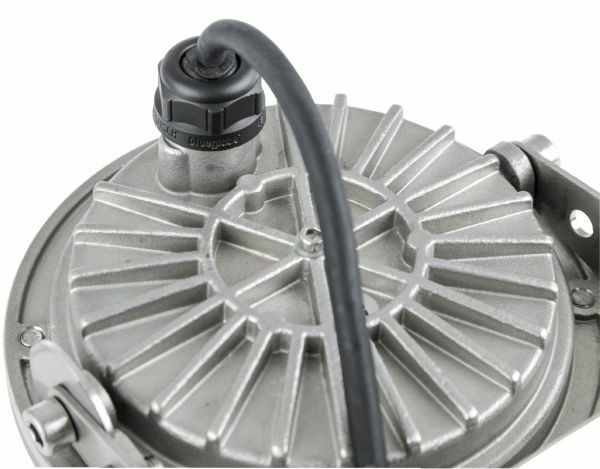 The LED lights are reverse polarity protected and the unit is temperature controlled for extra-long LED service life. The ProfiLux 1100 LED is rated watertight at IP 68 and is suitable for dry mounted use or underwater installation in both fresh water and salt water applications. This LED spotlight requires connection to the Profilux 24 volt transformer and is supplied with a 4 metre cable prewired to the spotlight and pre-wired special underwater cable terminal. 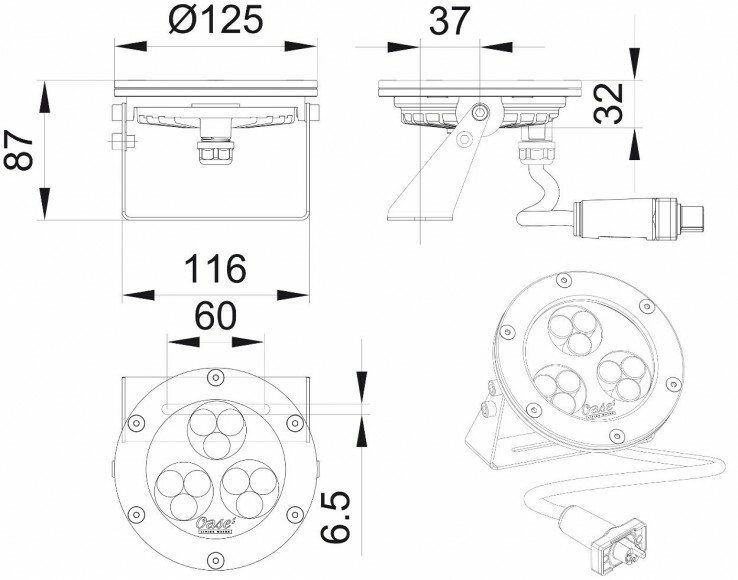 The 4m cable can be extended with the use of the Profilux 24V PowerBox and the special watertight easy connect cable for extending the overall cable length between spotlight and transformer. Please allow around 7 working days for delivery of Oase ProfiLux 1100 LED lights and accessories. 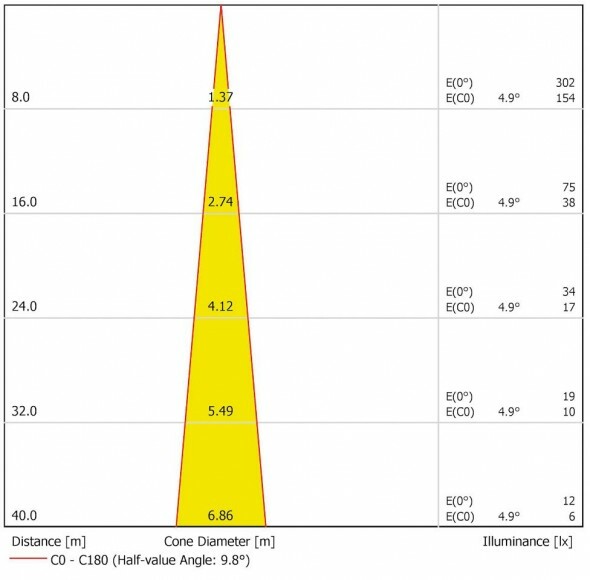 ProfiLux 1100 LED Flood Light Performance Figures - Distance, Spread and Light Intensity.